Home » CERIAS Blog » Gene Schultz, R. I. P.
Gene Schultz, R. I. P.
Sunday, October 2nd, Earl Eugene Schultz, Jr. passed away. Gene probably had suffered an unrecognized stroke about two weeks earlier, and a week later fell down a long escalator at the Minneapolis municipal airport. He was given immediate emergency aid, then hospitalized, but never regained consciousness. Many of his family members were with him during his final days. What follows is a more formal obituary, based on material provided by his family and others. That is followed by some personal reflections. Gene was born September 10, 1946, in Chicago to E. Eugene Sr. and Elizabeth Schultz. They moved to California in 1948, and Gene’s sister, Nancy, was born in 1955. The family lived in Lafayette, California. Gene graduated from UCLA, and earned his MS and PhD (in Cognitive Science, 1977) at Purdue University in Indiana. While at Purdue University, Gene met and married Cathy Brown. They were married for 36 years, and raised three daughters: Sarah, Rachel and Leah. Gene was an active member of Cornerstone Fellowship, and belonged to a men’s Bible study. His many interests included family, going to his mountain home in Twain Harte, model trains, music, travelling, the outdoors, history, reading and sports. Gene is survived by his wife of 36 years, Cathy Brown Schultz; father, Gene Schultz, Sr.; sister, Nancy Baker; daughters and their spouses, Sarah and Tim Vanier, Rachel and Duc Nguyen, Leah and Nathan Martin; and two grandchildren, Nola and Drake Nguyen. A memorial service will be held at Cornerstone Fellowship in Livermore, California on Saturday, October 8, 2011 at 1 pm. Donations may be sent to Caring Bridge.org under his name, Gene Schultz. You should also take a few moments to visit this page and learn about the symptoms and response to stroke. Gene was one of the more notable and accomplished figures in computing security over the last few decades. During the course of his career, Gene was professor of computer science at several universities, including the University of California at Davis and Purdue University, and retired from the University of California at Berkeley. He consulted for a wide range of clients, including U.S. and foreign governments and the banking, petroleum, and pharmaceutical industries. He also managed several information security practices and served as chief technology officer for two companies. Gene formed and managed the Computer Incident Advisory Capability (CIAC) — an incident response team for the U.S. Department of Energy — from 1986–1992. This was the first formal incident response team, predating the CERT/CC by several years. He also was instrumental in the founding of FIRST — the Forum of Incident Response & Security Teams. During his 30 years of work in security, Gene authored or co-authored over 120 papers, and five books. He was manager of the I4 program at SRI from 1994–1998. From 2002–2007, he was the Editor-in-Chief of Computers and Security — the oldest journal in computing security — and continued to serve on its editorial board. Gene was also an associate editor of Network Security. He was a member of the accreditation board of the Institute of Information Security Professionals (IISP). Gene testified as an expert several times before both Senate and House Congressional committees. He also served as an expert advisor to a number of companies and agencies. Gene was a certified SANS instructor, instructor for ISACA, senior SANS analyst, member of the SANS NewsBites editorial board, and co-author of the 2005 and 2006 Certified Information Security Manager preparation materials. Dr. Schultz was honored numerous times for his research, service, and teaching. Among his many notable awards, Gene received the NASA Technical Excellence Award, Department of Energy Excellence Award, the Vanguard Conference Top Gun Award (for best presenter) twice, the Vanguard Chairman's Award, the ISACA John Kuyers Best Speaker/Best Conference Contributor Award and the National Information Systems Security Conference Best Paper Award. One of only a few Distinguished Fellows of the Information Systems Security Association (ISSA), he was also named to the ISSA Hall of Fame and received ISSA's Professional Achievement and Honor Roll Awards. At the time of his death, Dr. Schultz was the CTO of Emagined Security, an information security consultancy based in San Carlos, California. He held certifications as a CISM, CISSP, and GSLC. As I recall, I first “met” Gene almost 25 years ago, when he was involved with the CIAC and I was involved with network security. We exchanged email about security issues and his time at Purdue. I may have even met him earlier — I can’t recall, exactly. It seems we have been friends forever. We also crossed paths once or twice at conferences, but it was only incidental. In 1998, I started CERIAS at Purdue. I had contacted personnel at the (now defunct) company Global Integrity while at the National Computer Security Conference that year about supporting the effort at CERIAS. What followed was a wonderful collaboration: Gene was the Director of Research for Global Integrity, and as part of their support for CERIAS they “loaned” Gene to us for several years. Gene, Cathy and Leah moved to West Lafayette, a few houses away from where I lived, and Gene proceeded to help us in research and teaching courses over the next three years while he worked remotely for GI. The students at Purdue loved Gene, but that seems to have been the case for everywhere he taught. Gene had a gift for conveying complex concepts to students, and had incredible patience when dealing with them one-on-one. He came up with great assignments, sprinkled his lectures with interesting stories from his experience, and encouraged the students to try things to see what they might discover. He was inspirational. He was inspirational as a colleague; too, although we both traveled so much that we didn’t get to see each other too often. In 2001 he parted ways with Global Integrity, and moved his family back to California. This was no doubt influenced by the winters they had experienced in Indiana — too much of a reminder of grad student days for Gene and Cathy! I remember one time that we all got together to watch a New Year’s Purdue football bowl appearance, and the snow was so high as to make the roads impassable for a few days. Luckily, we lived near each other and it was only a short walk to warmth, hors d’oeuvres, and wine. In the following years, Gene and I kept in close touch. We served on a few committees and editorial boards together, regularly saw each other at conferences, and kept the email flowing back and forth. He returned to Purdue and CERIAS several times to conduct seminars and joint research. He was generous with his time to the students and faculty who met with him. Earlier this year, several of us put together a proposal to a funding agency. In it, we listed Gene as an outside expert to review and advise us on our work. We had room in the budget to pay him almost any fee he requested. But, when I spoke with him on the phone, he indicated he didn’t care if we paid more than his expenses — “I want to help CERIAS students and advance the field” was his rationale. Equity. Gene treated everyone the same when he met them. It didn’t matter if someone was a CEO, Senator, freshman, or custodian — he treated them with respect and listened to what they might have to say. Humor. Gene loved to laugh, and loved to make others laugh. He shared funny stories and odd things found on the WWW, and had wonderful stories that helped make others smile. And he smiled, a lot, and shared his joy. Consideration. Gene was compassionate, thoughtful, and gentle. He would often inconvenience himself for others, without complaint. He loved his family and let his friends know they were special. Gene Schultz was a wonderful role model, mentor and friend for a huge number of people, including being a husband to a delightful wife for 36 years and father to three wonderful daughters. Our world is a little less bright with him gone, but so very much better that he was with us for the time he was here. 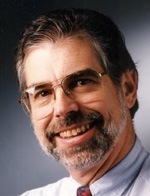 E. Eugene Schultz, Jr., 9/10/46–10/2/11. Requiescat in pace. My grandmother died of a stroke and it runs in my family. My most sincere condolences to the family. I’ve heard that many strokes can be prevented but at the same time, it seems like such a random thing to happen. I hope more research funding goes into that as I’m quite sure I’ll end up being a stroke victim myself. Again, my sincere condolences to the family. He Was a great person. I followed his work for many years. Wish him happiness after life. Thanks for posting. In loving memory of Gene Schultz, R. I. P. I hope he will remain in our hearts and still will continue what he have done, his good deeds and good heart.